It is always nerve racking when visiting a new doctor. It is more so when one has a history of cancerand ones prior doctor relocated too far. Luckily, Dr. Bogursky was very pleasant, professional and more importantly listened. She was highly recommended by one of her patients, and I must add rightfully so. I can say that I feel comfortable recommending Dr. Bogursky as well. Also, the receiving staff was very nice too, so thank you Dr. Bogursky and staff at the Crystal Run in Middletown. It is always nerve racking when visiting a new doctor. It is more so when one has a history of cancer and ones prior doctor relocated too far. Luckily, Dr. Bogurskywas very pleasant, professional and more importantly listened. She was highly recommended by one of her patients, and I must add rightfully so. I can say that I feel comfortable recommending Dr. Bogursky as well. Also, the receiving staff was very nice too, so thank you Dr. Bogursky and staff at the Crystal Run in Middletown. 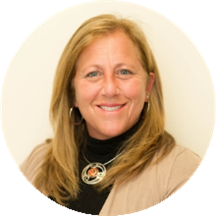 Eileen Bogursky is a dedicated and diligent obstetrician and gynecologist serving the community of Newburgh, NY. Dr. Bogursky attended the Icahn School of Medicine at Mount Sinai, where she received her medical degree, and completed her residency in obstetrics and gynecology at Mount Sinai Medical Center, New York. Dr. Bogursky is a part of Crystal Run Healthcare. She is board certified by the American Board of Obstetrics and Gynecology. Dr. Bogursky believes that sympathy and empathy establish ideal relationships. Apart from treating her patients, she enjoys hiking, skiing, and camping. Dr. Bogursky is devoted to ensuring the longevity of her patients’ health and developing long-lasting relationships with them. She takes her time to understand symptoms and give correct diagnoses to ensure the continued health of all her patients. Shes the best, amazing doctor! Very professional with a good beside manner. I love love love her. So professional and answers any questions I have. I feel so confident in her suggestions and asking her anything that I am questioning or need advice on. Would recommend her to anyone. Very fast, efficient and professional! I was in and out in an hr. Dr Bogursky is one of those doctors that treats you like a human being and genuinely cares about you and what is happening in your life. None of us "like" going to the gynecologist however, Dr. Bogursky and her staff makesure your visit is a pleasant one. Would highly recommend Dr. Bogursky. Great woman, nice and very comfortable to be around. Cannot recommend her enough! I love Dr. Bogursky! She’s very personable and knowledgeable. I come out of her office feeling good about myself. I would absolutely recommend Dr. Bogursky! She was professional and friendly. Made me feel comfortable for my first visit with her. She is nice and professional. Pretty too! Very professional with a wonderful bedside manner! She is so warm and down to earth. Just really enjoy her! This was my first time seeing Dr. Bogursky so I was a bit nervous for my pap smear, due to a prior experience, but she made me feel completely comfortable throughout the visit. I asked her several questions about concerns Ihad and her responses were thorough and honest. Overall, I would definitely recommend Dr. Bogursky! Doctor was extremely helpful and empathetic. Answered all questions and was very professional. The doctor was prepared as she had read my file, asked pertinent questions and asked if I had any questions. Very professional. Dr. Borgusky was very professional and great communication skills. Took her time to talk to me and then answered all of my questions without making me feeling rushed. Dr. Bogursky was very welcoming. She listened to my concerns and addressed each with care and understanding. I am sure I am not alone when I say that going to the Gyno is never something I look forward to.....BUT my experience as a whole was excellent! Dr. Borgursky listened to my concerns and answered all my questions kindlyand professionally! Her assistant was sweet and did a great job of putting me at ease!!! Thanks team Gyno! She is wonderful . Easy to talk to and very knowledgeable and understanding. I was made to feel comfortable and all my questions were answered. Dr. Bogursky is amazing! She is professional, keeps her patient's well informed and all while being kind and compassionate. We need more Physician's like her!!! This was my first visit to Dr. Bogursky. I found her to be very thorough with my exam and she listened to all my issues and answered all my questions and addressed my concerns. I would definitely recommend her and her staff to my friends. The only negative I have is the wait time to check in. New patients should be able to check in on the kiosk. Everything else was excellent. She was very kind and explained everything. I would definitely recommend her to anyone nervous or worried about a visit to the gynecologist. I enjoyed my visit with Dr. Bogursky. She was very professional and answered all my questions thoroughly. She was also supportive of my health questions about my weight loss and very great tips to help! I would definitely recommend her! My visit with the Dr. was great, I think the wait time in waiting area needs to improve, mine was a little over 30 minutes. I think 15 would be better customer service. Dr bogursky was so professional. She answered all of my questions. There was no wait time. I love this office. Dr. Bogursky has a great bedside manner. I liked her professional, yet warm manner and I have confidence in her as a doctor. She is my new ob/gyn. My visit with Dr Bogursky was great. I felt very comfortable. Very pleasant, she listens to my concerns and provides helpful solutions. I'm very pleased and satisfied with my visit. Everything is amazing: modern and clean facilities, polite, respectful, tactful, and professional personnel. I waited for my appointment less than 5 min. Dr. Eileen Bogursky is very professional and kind person. Thank everyone! I am very happy the way Dr. Bogursky helped me with a unsettling situation. She was 100% professional and very nice and open to talk with. She explained in details the options I have. I will certainly recommend her and go back. I thought the Dr was very warm and answered my questions. She did talk over me a tiny bit but that was OK. There was no wait time, and Dr. Bogursky is very friendly! The doctor was extremely rushed. The wait time was extremely long! I didn’t feel welcomed or comfortable in the examination room. It was my first visit. The doctor seemed rude. I will not be returning back unfortunately. It was great. I liked her a lot and will continue to be a patient under her care. Excellent doctor. Didn't rush me and listened to all my concerns. She was very professional and answered all of my questions. What a great first visit as a new patient! Check-in was quick with the receptionist and I was called back immediately by the nurse. Dr. Bogursky was fantastic and I didn't feel rushed during my appointment. She took time to answermy questions and I'm very happy I've found a great office for my needs.